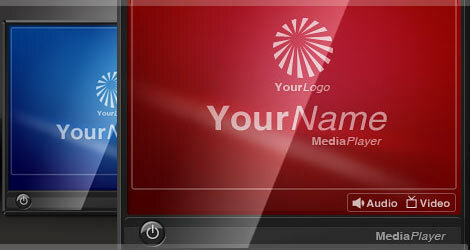 Same design as our first Flash Media Player, only for widescreen 16:9 video. Allows you to play audio and video from a single interface. If you need something more unique - customised with your logo, colour scheme, etc - visit our Custom Skins page.